When you want to connect two computers to the Internet, with only a single cable provider, a simply switching the cable from one PC to another. But not everyone is aware that it is possible to provide simultaneous access to the Internet with both devices. If you plan to connect only two computers to the Internet, then you can simply buy a network cable of the desired length. If such computers would be more then wise to buy a switch (network hub). Whichever method you choose, the network settings will remain unchanged. The only difference will be in the scheme of the local network. Select the computer that will distribute the Internet connection among other PCs or laptops. This PC must be a minimum of two ports for connection of network cable. If we are talking about a home or small office network, it is reasonable to use for this purpose the most powerful computer that will included most of the time. This is required because turning off the server computer, you disable the Internet connection for all other devices. Connect one network card to the cable provider and the other will connect with the network hub. The latter, in turn, connect all the other computers or laptops using network cables. 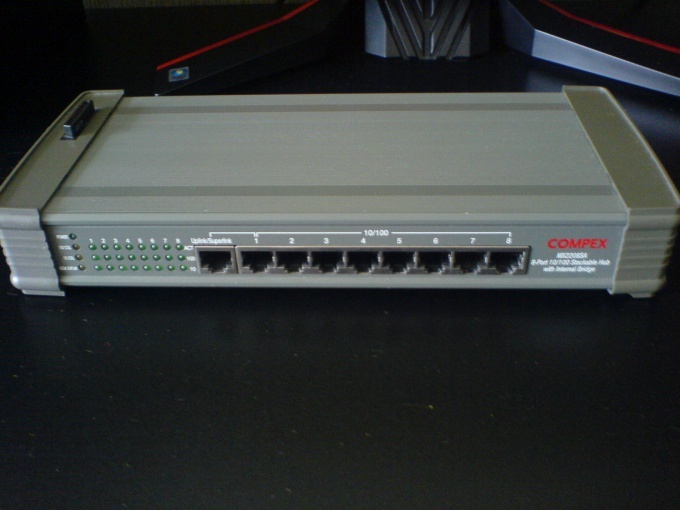 Configure the Internet connection on the first computer. Go to the properties of this connection, select the tab "Access" and enable this Internet connection with all computers on the local network. Open the LAN settings. Locate the "IP address" and enter 192.168.0.1. It is better to use this address because it will save you the trouble of Internet access with other PCs. - default gateway: IP address of the first PC.